Doescher retells the story of Star Wars (Verily A New Hope) in the spirit of William Shakespeare. The cover art and interior art are brilliant. I was very impressed with the faux leather cover (complete with a scuffed back) under the dust jacket. I really loved the Afterword and Doescher’s hat-tip to Joseph Campbell’s The Hero With A Thousand Faces. I agree, Campbell’s book had a major impact on my life. 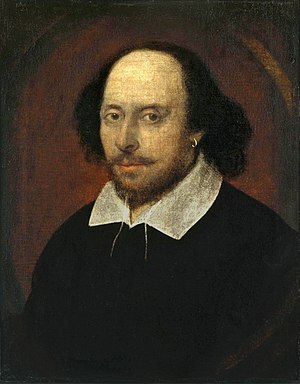 As for William Shakespeare’s Star Wars, I have to give it four lightsabers out of five. I blew through it’s 170’ish pages in one afternoon and really enjoyed every Jedi moment of it. It should be a perfect gift for the Star Wars fan or the English major. 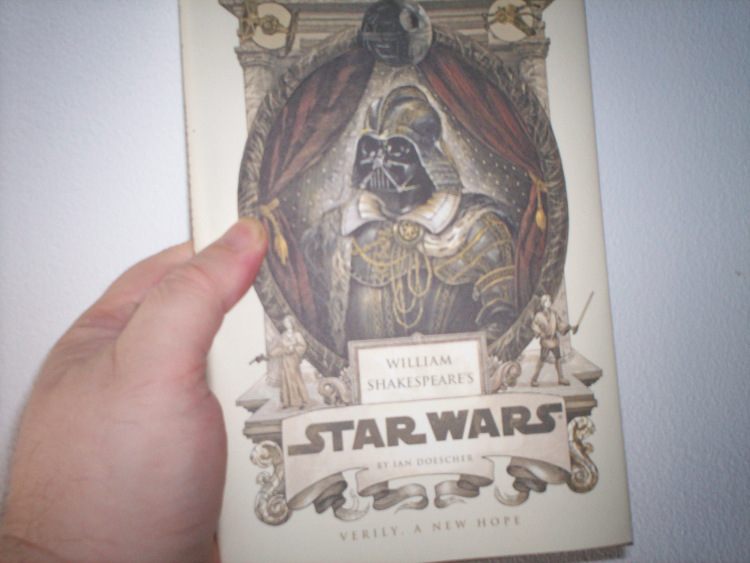 William Shakespeare’s Star Wars will be available July 2nd … may the Force be with thee. As a result of the fan page, Dale made a “Thank you” video. Terra Mysterium is a Chicago-based collective of musicians, actors, dancers, poets, magicians, and fire performers; creating, producing, and performing experiential works of music, theatre, and performance art that are rooted in the Earth mysteries. 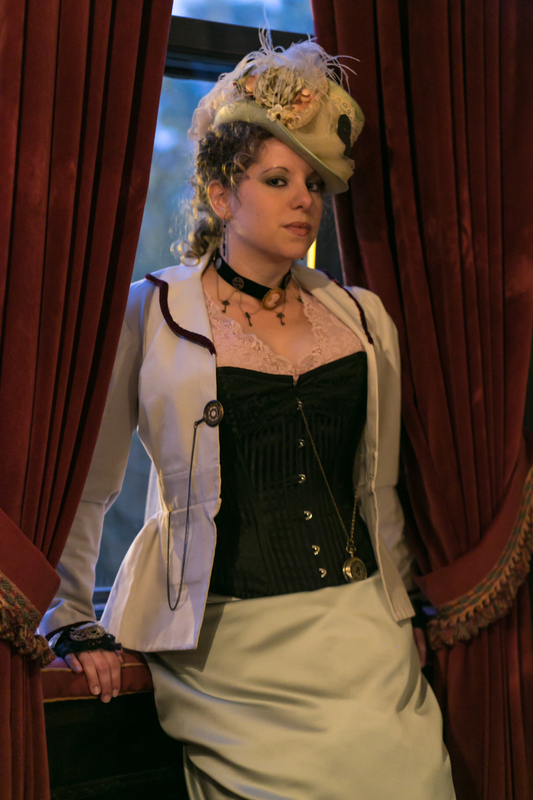 Interview with steampunk author Melissa Ann Conroy. 1. What inspired you to write a steampunkish Victorian story and are you planning a series? I’m in the midst of writing the Aether Saga, a “historical steampunk” series that spans 1854-1857 and encompasses a number of historical events such as the Indian Rebellion of 1857. The first book of the series “Steam on the Horizon” is available and I’m at work on “Clouds of War” which focuses on the Crimean War. 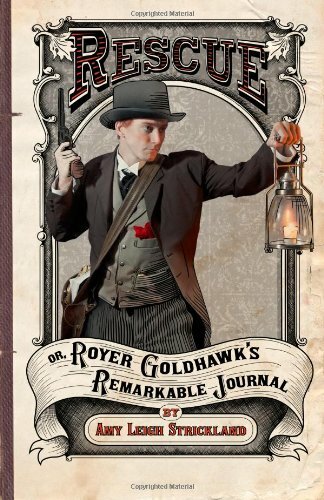 There is no one inspiration point for this series: for me, steampunk is the perfect merger of almost all my nerdy pursuits. A number of different factors were involved in the conception of the Aether Saga. Currently I’m a medical helicopter dispatcher and much of what I deal with at work (lift time, weather conditions, bird strikes) find their way into my writing. I’ve also traveled to ten countries and will incorporate some of them into the Aether Saga. 2. Which was more challenging, your costumes or your work on Steam on the Horizon? “Steam on the Horizon” was my first published book. Going the entire distance from idea to bound copy was a difficult endeavor that would have been easy to abandon. However, creating costumes is not easy either: I am currently modifying a pattern for an 1888 style Victorian dress, and I intend to sew the final dress on my great-grandmother’s old Singer pedal sewing machine. Of the two, writing is infinitely more challenging but also rewarding. 3. What steampunk/Victorian films have influenced you? 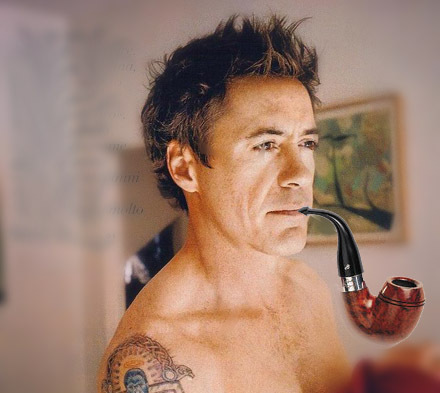 Most definitely the new Holmes movies with Robert Downey Junior. Terry Pratchett is my all-time favorite author, and Bill Bryson runs a close second for his ability to skillfully blend fascinating history with his accustomed graceful wit: both authors have had an enormous influence on my writing style. 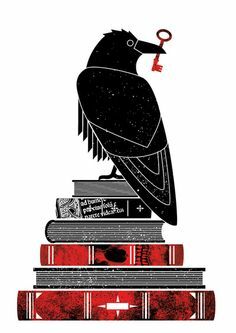 Cheri Priest is my steampunk author inspiration, and Peter Mayle is also one of my favorite writers. 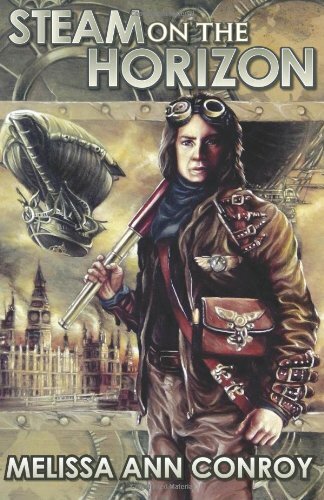 I just picked up “A Bloodier Rose”, the second book in the steampunk series The Sauder Diaries series by Michel Vaillancourt. Michel is excellent for his meticulous attention to technical details, and he approaches his writing with the eye of an engineer. 6. Who created your cover art? 7. Would you call yourself a steampunk? Stylistically, I don’t like the sound of the sentence, “I’m a steampunk” but I uphold the sentiment behind the statement. Yes, I subscribe to the asethetics and mindset of the steampunk movement and revel in being “retro futuristic”. While I would be loath to give up penicillin and air conditioning, much of me would gleefully take up residence in an alternate steampunk universe. 8. Do you like steampunk music? I absolutely adore Abney Park. In fact, their song “Building Steam” became my theme music for the last year, particularly when I walked away from my job to write. I’ve also been recently introduced to Sunday Driver, a band that is making a splash in the steampunk world. 9. Do you have a mentor? I’ve been blessed to speak with a number of fellow writers such as Michel Vaillancourt and the husband/wife steampunk writing duo Tee Morris and Philippa Ballantine who have cheerfully offered their support and feedback. I also have a strong core group of local friends who serve as my writing comitatus, including my friend Matt Manning who has served as my unofficial editor. 10. What sort of research do you do for your books? I’ve researched cholera epidemics, wet-bulb temperature readings, gangrene infections, 19th century cargo shipping costs, fluid bed boiler designs, and a thousand other topics. Basically, the Aether Saga is an excuse for me to research whatever stray wisp of conjecture that happens to capture my attention. 11. Have you ever had writer’s block and what did you do to work through it? Writer’s block and its companion ihatethisstupidbookititus were regular visitors to my keyboard. However, I kept battling through because I had made a commitment to finish the series. What helped is that I had financial backers and had built up a modest fan base that was awaiting the finished book. I wasn’t about to let them down, so I stuck it out and got it done. 12. What are your thoughts of Kickstarter and Indigogo? Indiegogo that helps me stay unemployed for six months and write. (lucky)13. Is there anything that you would like to add? I decided to go the self-publishing route and have not regretted it. Granted, this means I have done all the work from typesetting to marketing, but it has been an incredible journey and I have enjoyed the adventure. Thank you for your time Melissa! If you would like a brief description of “Steam on the Horizon,” check out my earlier post at https://gnostalgia.wordpress.com/2013/06/21/steam-on-the-horizon/. You can purchase a copy of the book through Amazon by clicking on the graphic. “Steam on the Horizon” is certainly a book that I will add to my reading list. He was best known as the author of The Shrinking Man, Hell House, What Dreams May Come, Bid Time Return (filmed as Somewhere in Time), A Stir of Echoes, and I Am Legend. In TV, Matheson wrote episodes of The Twilight Zone for Rod Serling (“Nightmare at 20,000 Feet” and “Steel”). His short story “Duel” became a TV movie directed by a young Steven Spielberg. Not long ago, Red Wheel/Weiser Books sent me a catalog of it’s Fall/Winter titles. While I’d love one of everything, I picked just a few titles of interest. 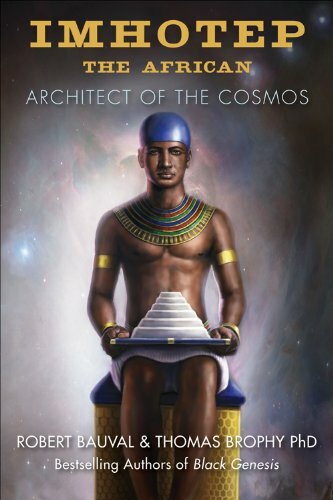 In this ground-breaking book, Egyptologist Robert Bauval and astrophysicist Thomas Brophy uncover the mystery of Imhotep, and ancient Egyptian superstar, pharaonic Da Vinci, Michelangelo, Galileo, and Newton all rolled into one. Based on their research at the Step Pyramid Complex at Saqqara, Bauval and Brophy delve into observational astronomy to ‘decode’ the alignments and other design features of the Step Pyramid Complex, to uncover the true origins and genius of Imhotep. Like a whodunit detective story they follow the clues that take them on an exhilarating magical mystery tour starting at Saqqara, leading them to temples in Upper Egypt and to the stones of Nabta Playa and the black African stargazers who placed them there. Imhotep the African describes how Imhotep was the ancient link to the birth of modern civilization, restoring him to his proper place at the center of the birthing of Egyptian, and world, civilization. 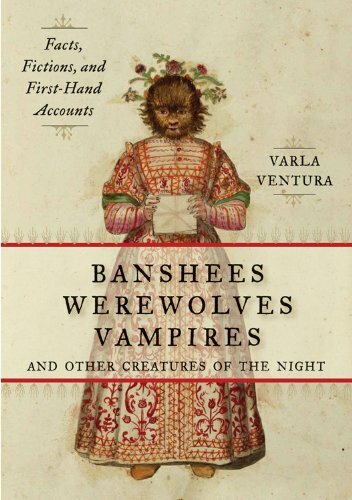 Banshees, Werewolves, Vampires, and Other Creatures of the Night (available in October) by Varla Ventura. I’d like a copy of her book Among the Mermaids and I’ll be in line at the bookstores for it in July. I love that book cover. I also picked out The Witches’ Almanac by Theitic. I have nothing against Llewellyn’s version but the almanac by Theitic is simply far superior. The beauty and mysteries of what we see and don’t see above are the same as here below and vice versa. The saying, “there’s nothing new under the sun” comes to mind. There is a harmony, agreement and correspondence between the physical, mental and spiritual planes and this principle of universal application and manifestation, the Principle of Correspondence, is an Universal Law. So take a few moments each day to meditate and reflect upon this knowledge to open up what otherwise would remain unknown and you will see the sameness of all that exists and will see and know the Divine. When the boiler explodes on the airship Lucky Lady, killing three men, first mate Gavin Roberts finds himself in the crosshairs of one of the most powerful men in Europe. Sir Cornelius Smothers, an iron-fisted shipping tycoon, has lost his youngest son in the boiler explosion and he holds Roberts responsible for the accident. Determined to rescue both the Lucky Lady and his own name, Roberts negotiates a deal with Smothers to purchase the ruined airship within three years, a bargain which promises certain death if he defaults. Renaming his crippled airship the Horizon, Roberts begins to rebuild her with the help of an eccentric inventor and a motley handful of loyal crew members. When the Horizon rises to life again as the fastest airship in the sky, she earns fame but also increases Smothers’ wrath against her new captain. Battling airship pirates and dodging malfunctioning automatons, Roberts must fight to keep the Horizon in the air and pay off his debt before his luck and his time run out. When Royer Goldhawk witnesses a fly-by kidnapping, he becomes inextricable entangled in a madman’s plot to break the barrier to another world and harness an unimaginable power. With the help of his friends, Royer embarks on a mission of rescue and revenge that will lead him across the country and plunge him into a world of magic, machines, and danger. While some ghost hunters may fear malevolent spirits during a ghost hunt, another danger may be the occasional BB-gun armed vigilante. 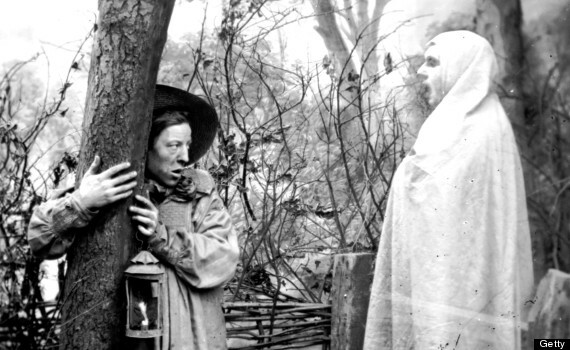 As it turns out, a woman fed up with ghost hunting trespassers used a BB-gun on this group of paranormal thrill-seekers. “Brandi stated that she had a Red Rider b.b. gun, and as the vehicle was leaving she pointed the gun and fired it at the vehicle, but she was unaware that she hit it,” Lipe stated in his report. What do we learn from this? Use caution while investigating, look out for the living, be aware of your surroundings, get permission to investigate the location, and most importantly wear BB-proof body armor.